To ask “where do you come from?” in German you can say woher kommst du?, or in a more formal situation, woher kommen Sie? 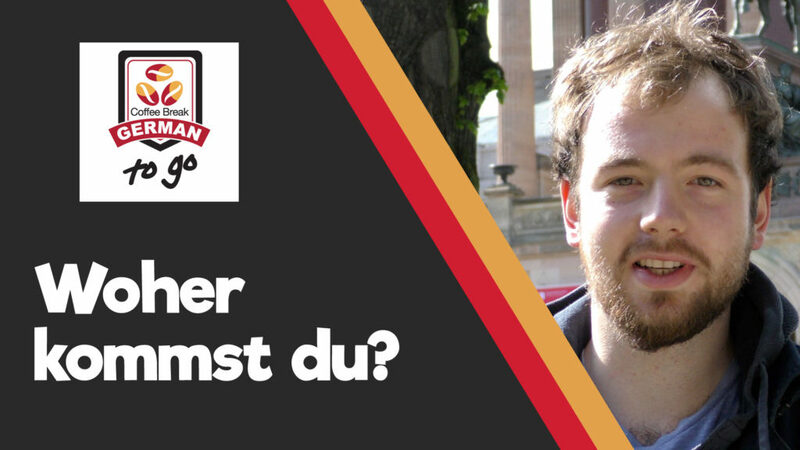 In this episode of Coffee Break German To Go, Julia asks this question to passers-by in the streets of Berlin. You can use the answers of our interiewees to help you learn to answer this question yourself. In the first part of the video, watch the interviews without subtitles and try to understand. In the second part of the video, we’ve provided subtitles in German at the top of the screen. You can choose to turn on subtitles in English using the Subtitles/CC button. In our first series, Julia is in the city of Berlin, and in each episode she’ll ask passers-by one question. Of course, that one question will result in many answers, and it’s through these answers that you can practise your German and build your vocabulary.